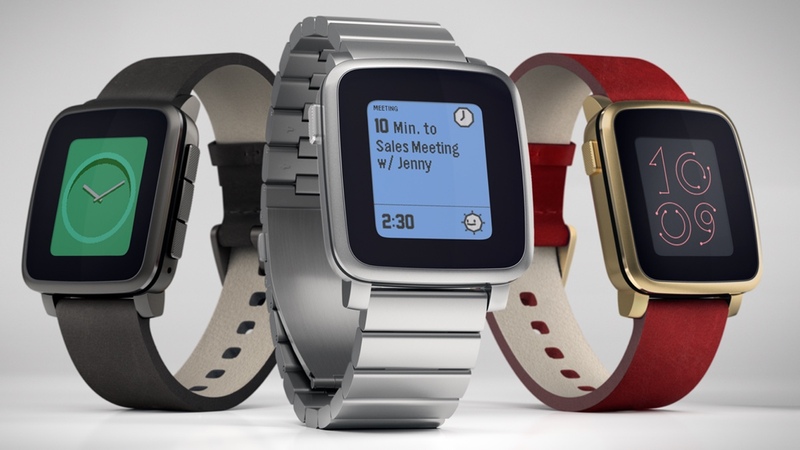 We really hope that the reports that Pebble is struggling financially, and have resorted to a loan just to stay afloat, aren't entirely accurate. That's the situation, according to TechCrunch, who cite sources close to the company claiming the smartwatch startup "has turned to a Silicon Valley bank for a $5 million loan and $5 million line of credit". The report also states that "Valley VCs have been turning down the company's requests for new capital." Pebble is one of the shining lights of an embryonic industry, with its original device the best selling smartwatch - 1 million+ shifted at the last count - at least until the Apple Watch came along. The Pebble Time and Pebble Time Steel launched earlier this year, breaking all Kickstarter records - $20,338,986 raised and 95,906 watches sold. However, the TechCrunch report claims, despite that, the extra cash borrowed was required "in order to stay afloat." The high-profile launch of the Apple Watch, and the huge figures reported for just the launch weekend (ranging from 1.25 million to 2.3 million) put the Pebble's success in the shade; and the ever growing army of Android Wear devices indicate a market that is likely to be dominated by traditional big name tech brands. However, Pebble's CEO Eric Migicovsky didn't sound too worried about the threat when he spoke earlier this week at the Wearable World Congress in San Francisco. "Apple did come through and it's spectacular," he said. "There's a lot to learn from them because it took them seven years, but we don't worry about that. We're focused on keeping is simple, affordable and useful. Google has put forth a dozen different watches. Apple has put forth a high fashion watch and this is great." Pebble is not the only wearable success story with worrying financial news circulating around it. "Jawbone's finances are 'perilous' as wearable startup fails to make profit" - that was the worrying headline from a report back in January that quoted a lawsuit between the UP3 maker and Flextronics, a contracted manufacturer. Despite rumours that Google is looking to make a significant investment in the fitness tracker specialist, it remains to be seen if its financial woes are over. The bottom line is, in such an immature market that is still finding its feet in the mainstream consumer's consciousness, keeping the money men happy clearly isn't as easy as gaining the praise of tech reviewers.